Mission Trip volunteers chat with students in a school in Nicaragua. Six Luther Students — Kacy Rodamaker (‘19), David Pontius (‘20), Caleb Linville (‘19), Shannon Baker (‘20), Hannah Gross (‘20), and Robert Muller (‘20) — went on a mission trip to Costa Rica and Nicaragua during spring break week with David Olson, a pastor from Northfield, MN. All six students are members of the Tuesday Night Discipleship (TND). TND meets every Tuesday at Decorah Covenant Church. They engage in Bible study and local service projects and Olson, a pastor from St. Olaf college travels to Decorah to lead the group. Costa Rica and Nicaragua are both developing countries, so the students were exposed to a very different culture than they are accustomed to, according to Gross. The students left for Costa Rica and Nicaragua on March 17 and returned March 27, and they worked for about eight days on their mission trip. While the students were there, they taught English in seven primary and secondary schools, worked with children and adult cancer wards, held church services and provided local pastors with food samples for their communities. The majority of time spent in Nicaragua and Costa Rica was devoted to working with people who live in poverty. While Luther is affiliated with the Evangelical Luther Church in America (ELCA), the mission trip was through the TND group. “[TND] does this trip once a year with Luther students,” Gross said. 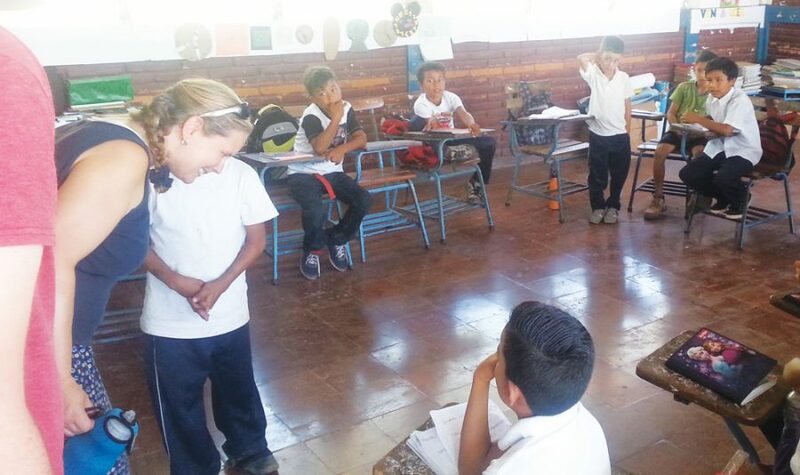 Every year the program travels to Nicaragua and Costa Rica and the students teach and assist with construction in local communities, but there are usually slight differences in the program from year to year. A large part of the trip was focused on church activities and Bible study. The students attended meetings to prepare themselves for the cultural differences they experienced. In Nicaragua, approximately 59 percent of the total population consider themselves Catholic and 22 percent identify as Protestant. In Costa Rica, approximately 47 percent of the total population identify as Catholic, 25 percent identify as non-practicing Catholics, and about 13 percent were Evangelical Protestants, according to the United States Department of State. Although both Nicaragua and Costa Rica have a highly religious population, the students hoped to help the people within local churches, schools, and communities to create a more open conversation about faith and religion. For some of the students this was their first trip outside of the United States and their first mission trip. Muller has participated in both TND and Outreach, an on-campus Wednesday night discipleship organization. Gross is an active member of Focus, Luther’s student-led worship on Sunday nights. She sings in the student-led music group featured at Focus.